It’s an all too familiar story – couple meets, falls in love, and gets married. They buy a house, but only one spouse signs the original loan documents and thus becomes the primary borrower. Then, the primary borrower passes away. The remaining spouse (typically the widow) is unable to pay the mortgage. As a result, the house is foreclosed. This happens to many couples in the United States, and the spouse who didn’t sign the original loan documents scrambles to keep her home and pay the mortgage. How can you avoid this scenario from happening to you? 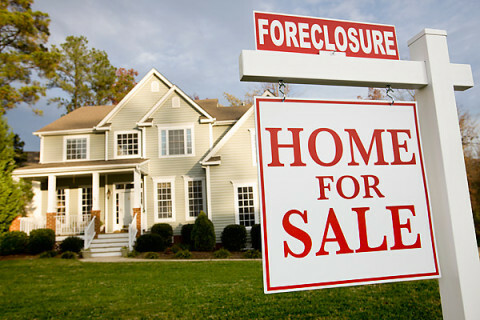 Mortgage protection insurance covers your mortgage if you lose your job or become disabled. It also pays off your mortgage when you die. Whether you benefit from mortgage protection insurance really depends on your health, financial situation and what you want to happen if the worst befalls you or your partner. Mortgage protection insurance is life insurance that pays your mortgage after a certain triggering event such as death, disability, or job loss. The cost depends on the amount of your mortgage, your age, and your health. For disability mortgage protection insurance, costs also vary depending on your occupation. If you purchased mortgage protection insurance that pays off your mortgage after your death, the insurance company sends a check directly to your mortgage company. This leaves your heirs with your home unencumbered by the mortgage. Payments also go directly to your mortgage company if you purchased job loss or disability insurance, but it only happens for a certain time period (about a year or two). Further, there can be a waiting period before payments are finally made. While mortgage protection insurance is a type of life insurance where the proceeds can only be used to pay one’s mortgage, many believe a better option is to have regular term life insurance. With life insurance, your heirs can use the money they receive in whatever way they see fit. Moreover, whereas mortgage protection insurance typically has an age limit (around 45 or younger for a 30 year mortgage, or 60 or younger for a 15 year mortgage), no age limits exist for life insurance. Further, on direct comparison, term life insurance can be cheaper than mortgage protection insurance. If you’re healthy and have never used tobacco, you pay more for coverage with mortgage protection insurance than you would for life insurance. Mortgage protection insurance can provide benefits to those who don’t qualify for life insurance. For example, people with poor health or a record of past medical conditions may not be eligible for life insurance. Mortgage protection insurance is less strict and, as a result, more people qualify. Regardless, financial experts typically do not recommend any insurance that only pays for specific bills such as mortgage protection insurance. If your heirs want to keep the home but are having a tough time paying the mortgage, they could refinance the loan. Refinancing the mortgage may help you get a better rate, lengthen the term, and lower the monthly payments. This option allows heirs to stay in the house. However, this may not be an option if you have damaged credit or for some other reason you cannot qualify for a mortgage on your own. In that case, a reverse mortgage may work. Reverse mortgages do not have credit or income requirements, but you must be at least 62 years old and your mortgage balance must be around half of the home’s value or less. The loan is called a reverse mortgage because instead of making monthly payments to a lender, the lender makes payments to the borrower, and there are no monthly principal or interest payments. With a reverse mortgage, you are still required to pay real estate taxes, utilities, hazard and flood insurance premiums. When the home is sold or no longer used as the primary residence, the cash and interest must be repaid, and the remaining equity can be transferred to the heirs.